Novak Djokovic won the ATP Comeback Player of the Year Award after returning from elbow injury to win two grand slams and returning top of the rankings. 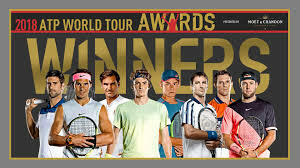 The ATP World Tour Awards presented by Moët & Chandon honours the season’s best players and tournaments, as determined by the players and Emirates ATP Rankings. In addition to the player-voted awards, fans choose the winner of ATPWorldTour.com Fans’ Favourite singles player and doubles team, while the ATP selects the recipients of the Arthur Ashe Humanitarian and Ron Bookman Media Excellence awards. The large three of men’s tennis Novak Djokovic, Rafael Nadal and Roger Federer — were among the winners in the 2018 ATP World Tour Awards. The trio were called as award winners on Friday from the prelude to the season-ending ATP World Tour Finals in London. 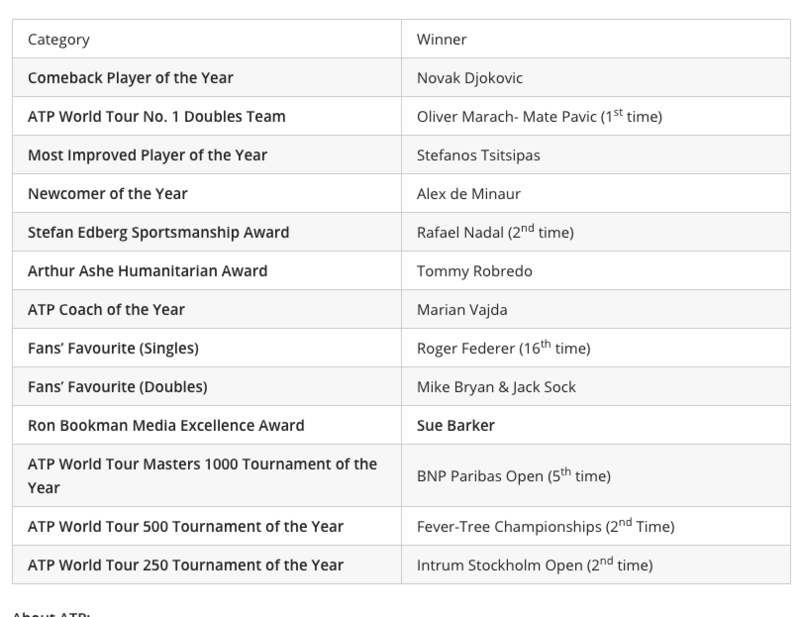 Not too surprisingly, Djokovic won the’Comeback Player of the Year Award‘, voted from the ATP players, about the rear of his glorious streak during the next half of this year. Having fallen to World No 22 at a point after fighting form after an elbow operation, the Serb bounced back by winning Wimbledon and the US Open including Pros names in Cincinnati and Shanghai. His brilliant conduct watched him replace Nadal in the peak of the ranks in the Paris Masters whenever the Spaniard withdrew because of injury. Djokovic’s coach Marian Vajda was likewise called ATP Coach of the Year (voted by ATP coaches) later he directed the Serb back to the top after their reunion in April. Nadal won the “Stefan Edberg Sportsmanship Award“for his honest play, ethics and ethics on and off the court”. Nadal and Federer have shared that the dominated that the award since 2004 but the Swiss has won 13 days such as the past seven in a row. Meanwhile, Roger Federer continued his conduct as the Warriors’ Favorite (voted by fans) participant.